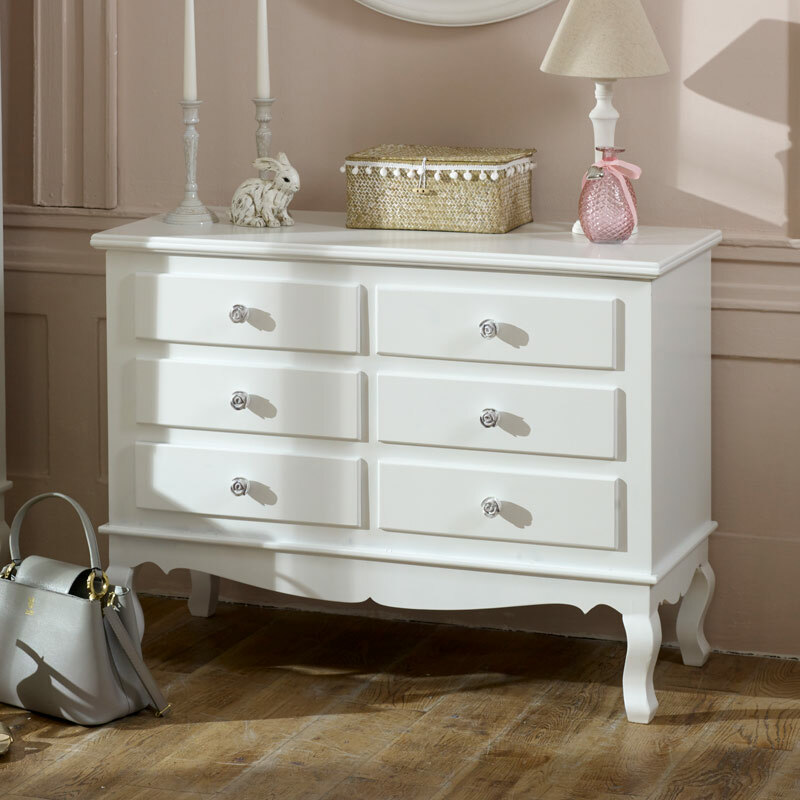 This Lila Range White Chest Of Drawers is beautiful vintage, shabby chic style storage for a bedroom, dressing room, living room or hallway. Perfect for lovers of elegant furniture. This is part of a larger white furniture set. 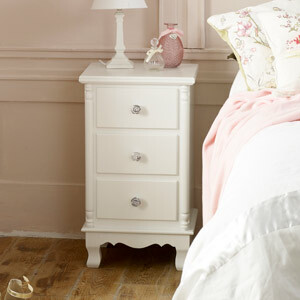 A gorgeous chest of drawers in an ornate vintage French style making it the perfect bedroom storage. Six drawers for keeping your clothes neat, tidy and organised. 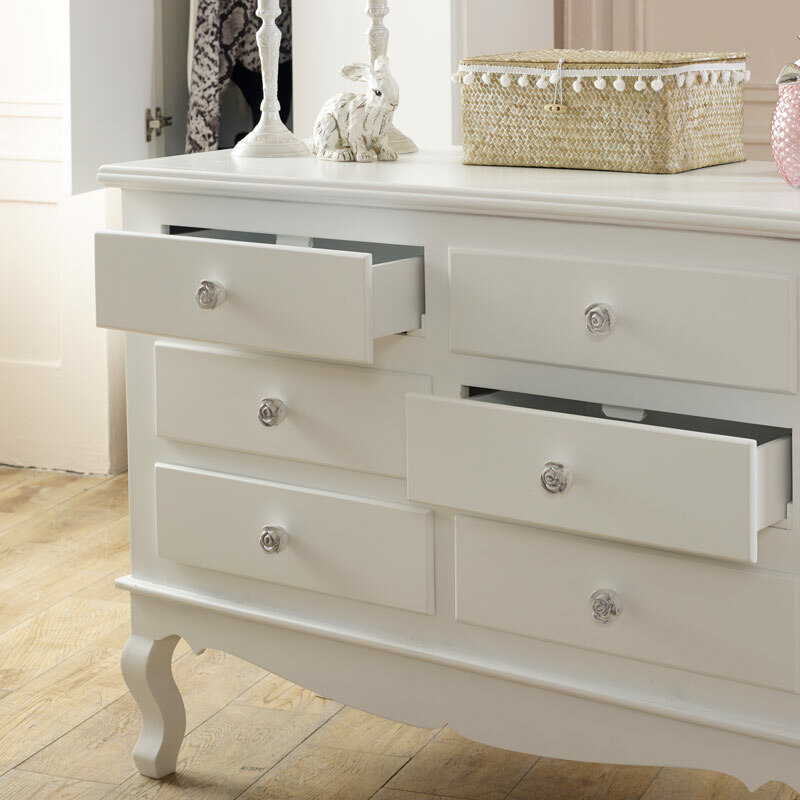 Each drawer is fronted with a rose carved drawer knob to add a beautiful decorative effect. 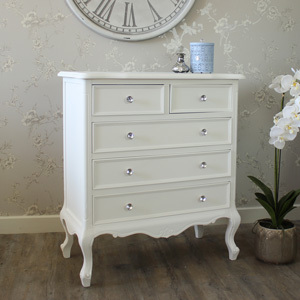 Stunning bedroom furniture, 6 drawer chest of drawers that offers ample storage in gorgeous French style and complements the rest of our Lila Range beautifully. This Lila Range White Chest Of Drawers is beautiful vintage, shabby chic style storage for a bedroom, dressing room, living room or hallway. Perfect for lovers of elegant furniture. This is part of a larger white furniture set. A gorgeous chest of drawers in an ornate vintage French style making it the perfect bedroom storage. Six drawers for keeping your clothes neat, tidy and organised. 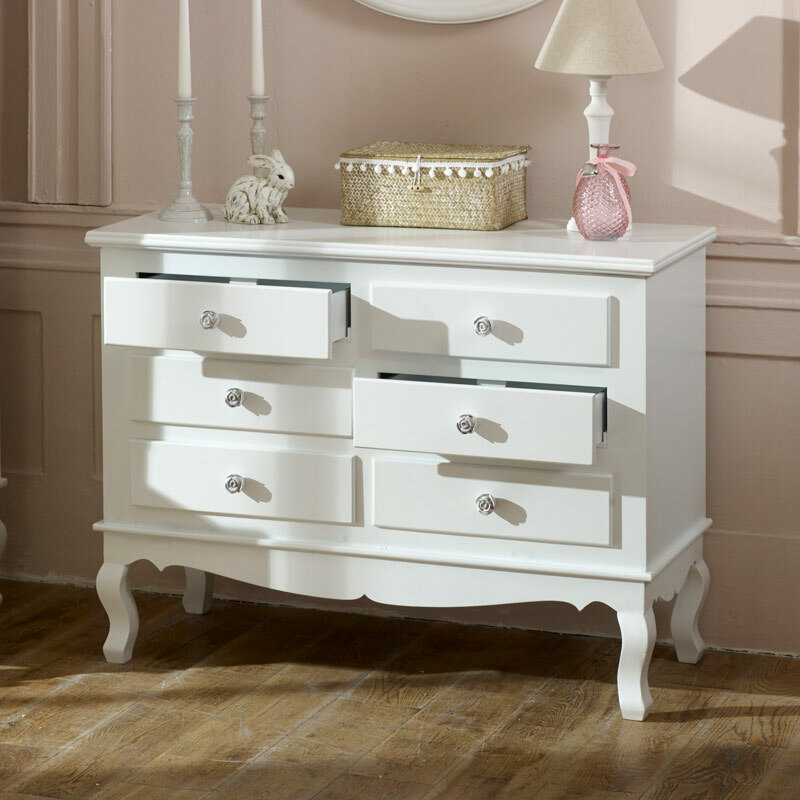 Each drawer is fronted with a rose carved drawer knob to add a beautiful decorative effect. 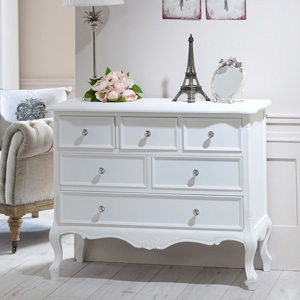 Stunning bedroom furniture, 6 drawer chest of drawers that offers ample storage in gorgeous French style and complements the rest of our Lila Range beautifully. Made from wood and painted in white. The inside storage on the drawers each measure 35.5cm x 9.5cm x 28cm (width x height x depth). The chest of drawers comes fully assembled. We have several more pieces of furniture available in this range that will allow you to fully furnish your bedroom and add a fresh new look to your home.